In Matthew chapter 13, Jesus gives a series of parables about his Kingdom. We might consider them an window into God’s action in this world. Here are two of them. These parables present God’s action in the world as something that starts small and grows big, and as something that starts small and then permeates everything. This contrasts to the idea that God’s action in this world consists of big spectacular events. Big spectacular events are like tsunamis; they create lots of change. But even more change is created by the slow ebb and flow of water that causes erosion, digs riverbeds, carves gullies and canyons, and builds deltas. 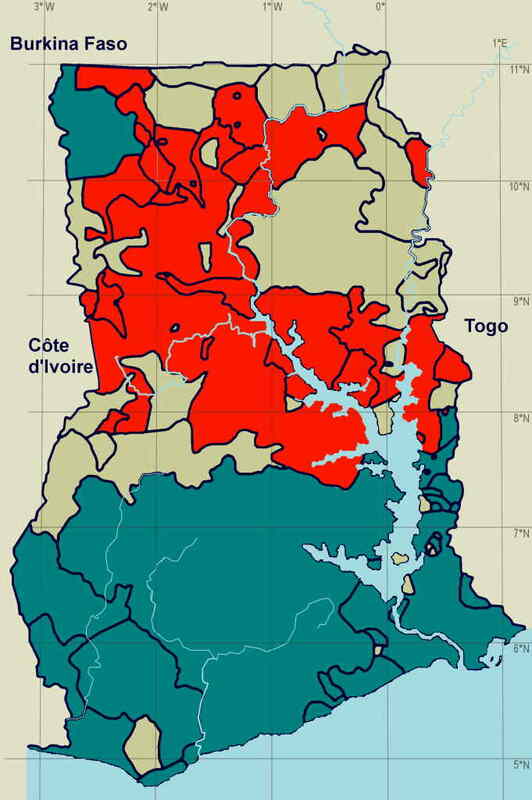 The tsunami seems more powerful only because it happens fast. .
Missionaries first came to Ghana in the early 19th century. They struggled. Not many Ghanaians were receptive to their message. But the missionaries learned the languages, translated the Bible, and trained the few that responded. They published the Bible in the Ga language in 1866, followed by the Twi Bible in 1874, and the Ewe Bible in 1914. By that time they had been in Ghana for about 80 years and still few had responded to the Gospel. Things begin to change in the early 20th century. And change they did. From 1900 to 1960 Ghana went from 5% to 60% Christian. The percentage is much higher still in the areas where the Bible had been translated. The process looked nothing like a tsunami. The day-to-day changes were almost imperceptible. Certainly the hour-to-hour changes were. Nevertheless, the mustard seed has grown into a very large tree and the yeast has permeated the whole loaf, just as Jesus explained. Working as a cross-cultural missionary requires that I understand the Gospel and the culture where I am ministering. If I understand only the gospel I will end up misconstruing it because I will communicate it in ways the culture will misunderstand. So I have to be curious about the culture in which I am serving and clear about the Gospel I am presenting. My favorite biblical example of curiosity by a missionary is found in Acts 17 where the Apostle Paul studies the idols of Athens and quotes an Athenian poet in order to explain the Gospel. True curiosity about other people comes from love. When I love, I want to understand you. This is very different from idle curiosity – the kind that turns people into curiosities – things we are interested in only because they are different or exotic. If I’m truly curious about people not like me, I can’t be angry, distant, gruff, or dismissive; even when I disagree with what I find. Some mistakenly call this approach appeasement. Appeasement exists, but seeking to truly understand is not it. God fully understands everyone and seeks out each of us where we are. 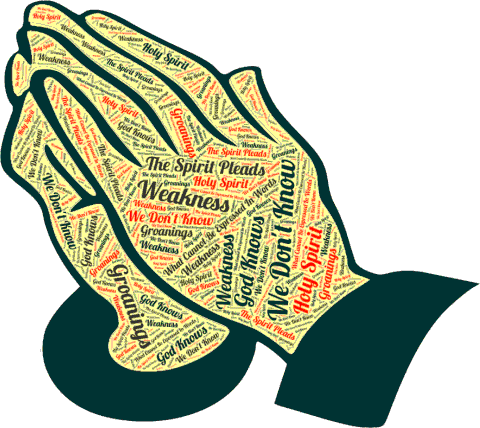 So we should not be afraid to fully understand those to whom we are ministering. We should avoid using straw-man tactics and instead use steel-manning to avoid superficial understandings and convenient stereotypes. When we do that, we imitate God’s approach to us. Plus, our presentation of the Gospel becomes clearer as do our translations of the Bible. For many people, most perhaps, the fact that there are 7,000 languages spoken in the world today is a problem. Wouldn’t everything be a lot easier if everyone spoke the same Language? Missionaries and churches have sometimes taken the approach that languages are a barrier, refusing to use them for worship or evangelism. Instead they use a regional, dominant, or official language. Dr. Harriet Hill and Dr. Lamin Sanneh have pointed out that this often leads to stagnation of the Christian faith. It has become more and more common for missionaries to see languages as a bridge rather than as a barrier. In fact, seeing languages as a bridge has become so common that we can speak of a paradigm shift in missions. One very large international mission agency even shifted all of its work away from dominant languages to local languages when the saw the success of the latter approach. Unfortunately churches lag behind missions in this paradigm shift. Their members may have a vested political economic, educational, tribal, or other interest in maintaining the dominant language. Also they are generally not aware of the successes of ministry based on the idea that every language is a bridge between the people and the Gospel. In Ghanaian churches we sometimes encounter skepticism of the value of translating the Bible into the lesser known languages of the country. If the problem is that they lack information, they quickly change their minds once they are informed. On the other hand, things are more difficult if they have a vested interest in maintaining the dominant language. Language is often highly political. So, our goal of mobilizing the churches in Ghana for translation addresses both the need for information and the need to moderate some political positions. 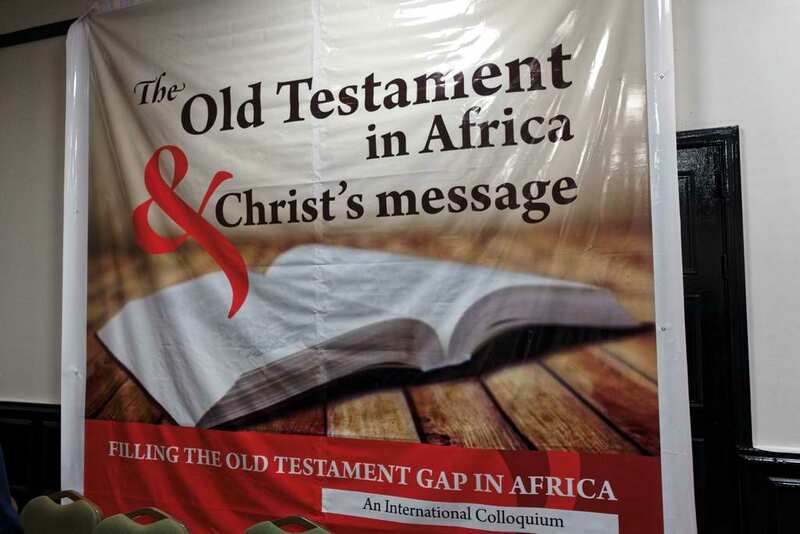 In July 2018, I attended a conference on the topic of the Old Testament in Africa. One speaker, Professor Kpobi, gave examples of how the Old Testament brings helpful corrections to some problems and excesses that are arising in Christianity in Africa. Among the examples he gave was the story of the healing of Naaman. In African traditional culture, the person wanting healing would have to go through an ordeal. The purpose of the ordeal is to show that they are serious. So the healer might ask the person to bring the tongue of lion, or some other very difficult thing. The ordeal might also involve the person drinking something dangerous. But the story of Naaman shows that the prophet demands no ordeal at all. Dipping in the Jordan river is not an ordeal. In fact, it is so much the anti-ordeal that Naaman balks. 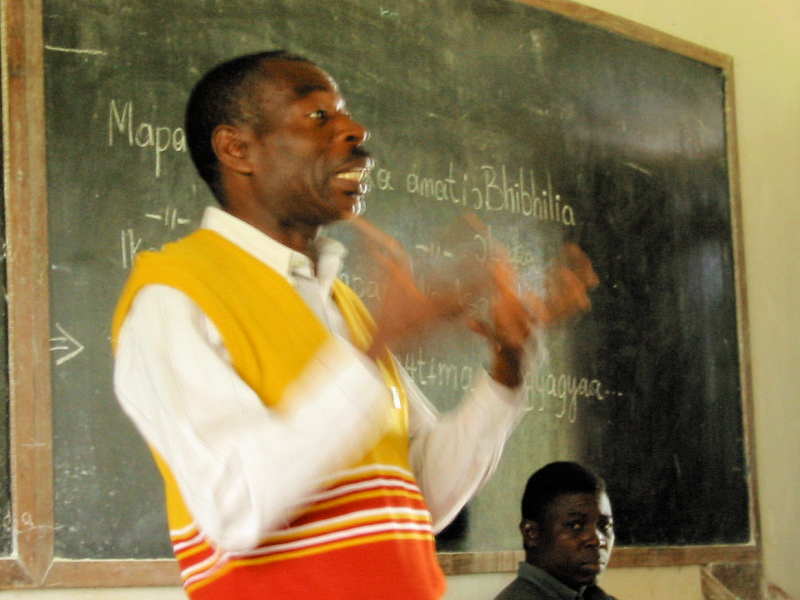 African Christian healers who demand ordeals may not realize it, but they are borrowing from their African traditional religion and not from the Scriptures. In South Africa, some people became very ill after a Christian healer told them that they must drink gasoline. The Old Testament stories of healing bring correction to such practices. This is to inform you that last Sunday during the Bible study period, we noticed an unusual thing that about half of the adults had their Buli Bible and each was eager to read whenever a reference was made. It was so good and pleasant to see that. I wish to say thank you GILLBT for this wonderful thing you have done. Long live GILLBT. This is amazing for three reasons. First, far fewer than half of Buli adults can read. In fact it’s probably less than one in five. It is likely that many of the people in church got there through a literacy class. 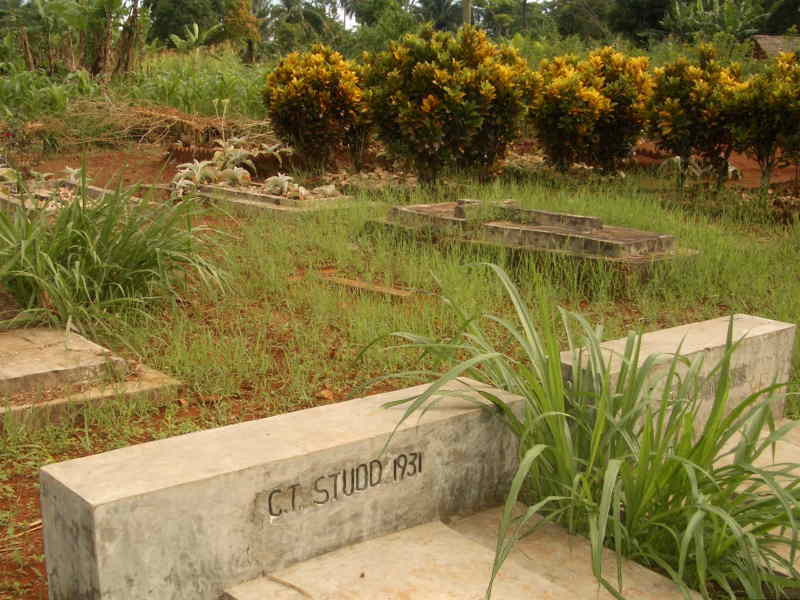 Second, the church in question is in Accra, a long distance from the area where the Buli language is spoken. Historically, people moving out of their area to a city learn the language of the city in order to find work and interact with their neighbors. Quite a few people, including pastors planting churches, think that local languages are therefore irrelevant to church planting in cities. It turns out that the opposite is often true – that local languages are very effective in evangelism of people newly-arrived from rural areas. Third, because these believers can read, they have much better job opportunities. The effects are obvious. Christians do better economically than other recent, uneducated rural people moving to cities. Lastly, these Christians will not be swayed by false teaching because they check everything the preacher says from their Bibles. By the way, the Buli Bible was dedicated two years ago this week.